In my last post, I commented on the profusion of tourists in Paris taking selfies with arms outstretched and their backs to the very sites they had traveled so far to see. Making your travel photo in front of landmarks is nothing new, of course. Not having to ask a stranger to hold your camera is new—an offshoot of smartphones with front-facing cameras for two-way video calls. The rise of selfies has led to more, and many more bad, photographs. Smartphone manufacturers are starting to engineer and market product enhancements designed to overcome the limitations of cell phone cameras used at arm’s length. Accessories like the selfie stick are popping up to help folks who lack Inspector Gadget arms. There’s nothing inherently bad about making selfies, just as there is nothing wrong with checking your appearance in a mirror. But it’s so easy to overdo it, especially today. The mythological Greek hunter Narcissus had no smartphone or social media account, so he drowned only himself in the pool that trapped him with his reflection. Modern narcissists pull everyone in with them. Selfies have moved quickly from novel to viral to commonplace. For some, they seem compulsory. When the English evolutionary biologist Richard Dawkins coined the word meme (rhymes with cream) in his 1976 book, The Selfish Gene, he said he was looking for a one-syllable counterpart for the word gene to describe cultural ideas that self-replicate like biological organisms. He invoked the Greek root mimeme (imitated thing), which he connected with the English word memory, and the French adjective même (same). 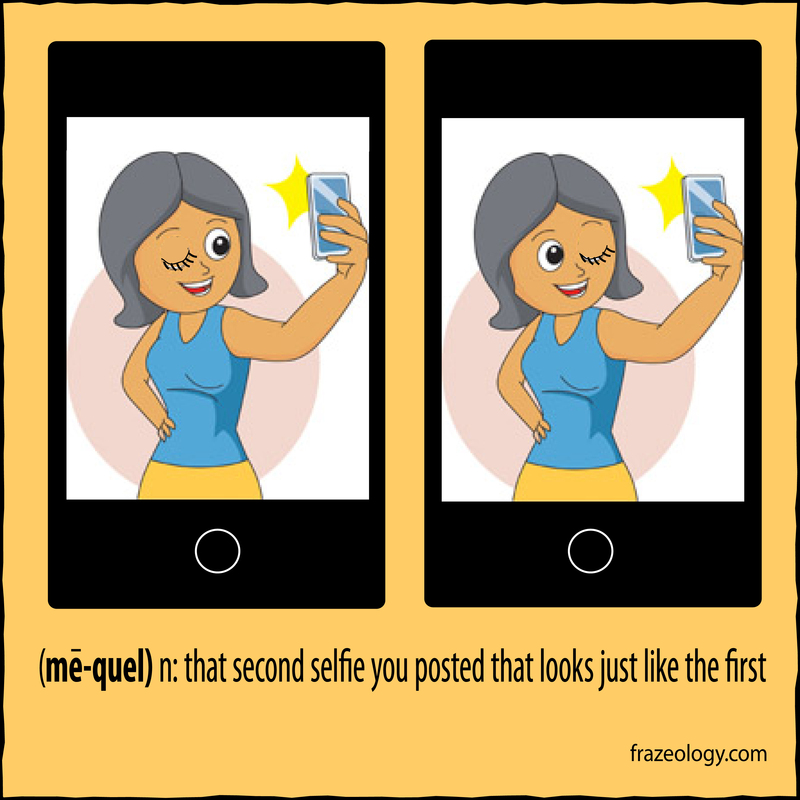 However he got there, the result is a word that perfectly captures our times and the viral growth of selfies—a word that simply repeats the word me. I’ve seen some great selfies, but as their spread has become less thoughtful and more automatic, selfie creators often fall into the trap that has snared so many movie producers—going back to the well when they shouldn’t.